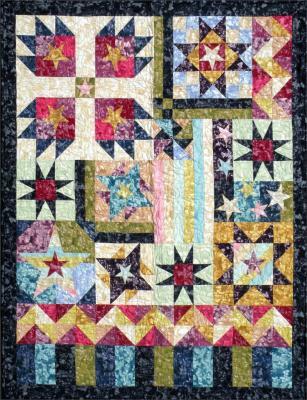 The Quilter's Flag represents the star quilter in all of us. Use it as an inspirational tool to get you motivated and in the mood for one of the best hobbies on earth...quilting! The sample quilt was made entirely from the Rock Candy fabric line by Blank Quilting. 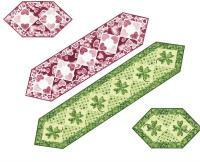 This quilt pattern is compatible with the AccuQuilt GO! Fabric Cutter and contains optional instructions for its use. Finished Size: 48" x 58"